Look "outside the box" or "circle" in this case to find a fun container to arrange flowers in. Use a variety of flowers but not too many. I'd stick with around 3 or 4 different types. Coordinate the color of flowers you use. You could also use different types of flowers that are all the same color. Use flowers that are different in mass. Some should be light and wispy, like the white flowers at the bottom of my arrangement and the twigs at the top. Some should be more substantial like the tulips and hyacinth. Choose flowers that will vary in height. Try to have something tall and wispy, something medium height for the main arrangement and then something spilling over or really low and level with the base. Keep each variety of flower grouped in a clump. Clumping them together makes your arrangement more current. Use a variety of textures. In my arrangement I bring in different textures with twigs, moss, the silk florals and the bow. You don't always have to add a bow, but when you do, keep it rustic and natural. Burlap, twine and jute are beautiful options. Keep the colors really natural, especially when using a lot of colorful flowers. 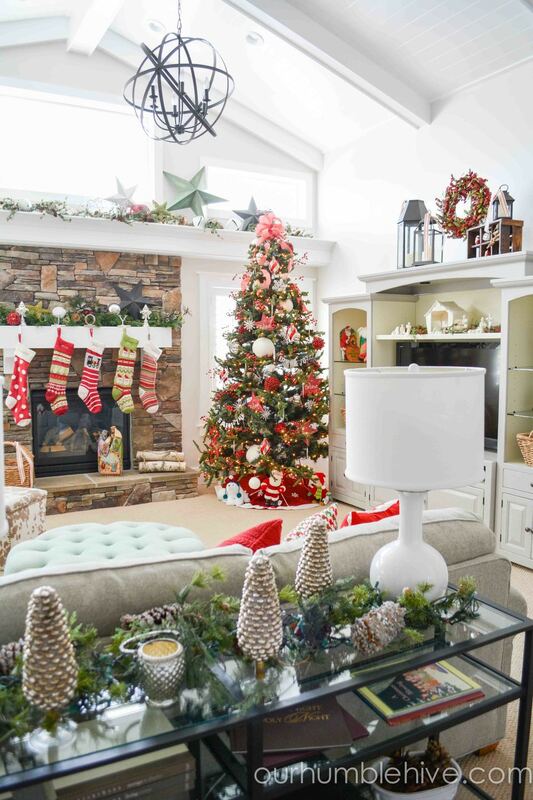 3m Command hanging strips are awesome to hang your wreaths! I have a clear one on the window to hang this wreath from. You really can't even see it and I love that you don't have to nail something into the door. Have fun and be creative! Making wreaths is one of my favorite things to do. Enjoy yourself! Stop back tomorrow when I will be sharing some more of my all time favorite spring wreaths. This post is linked to Skip to my Lou.